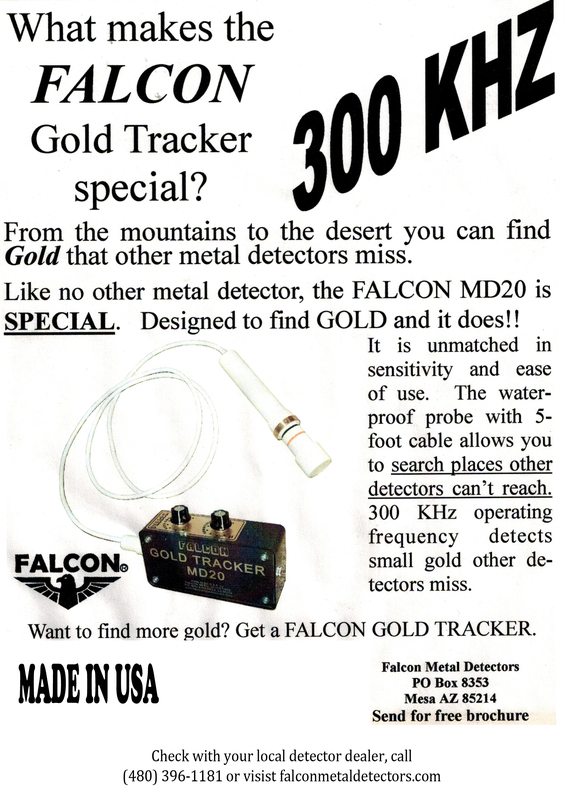 The FALCON™ MD20 metal detector is designed to find gold that other detectors can’t. 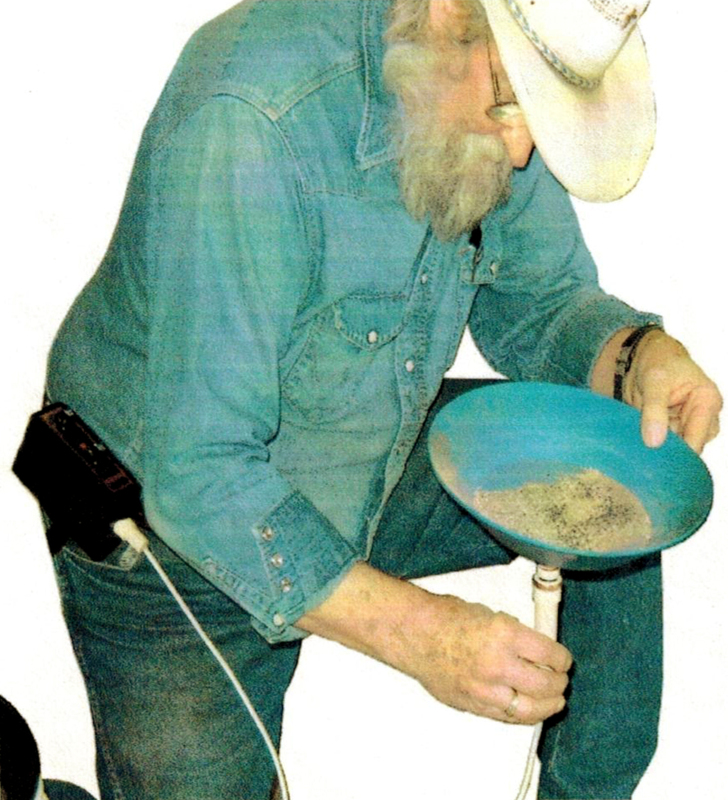 300Khz operation detects gold so small that it is barely visible, to the eye. 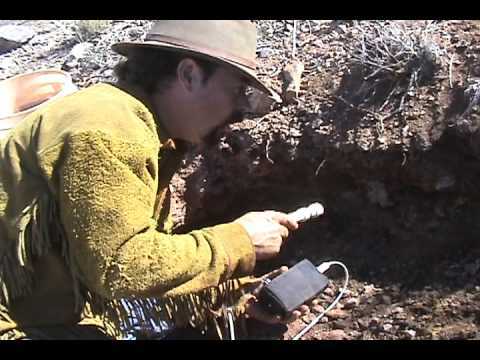 This helps in locating specimen pieces in tailings piles and is useful in dry panning techniques. 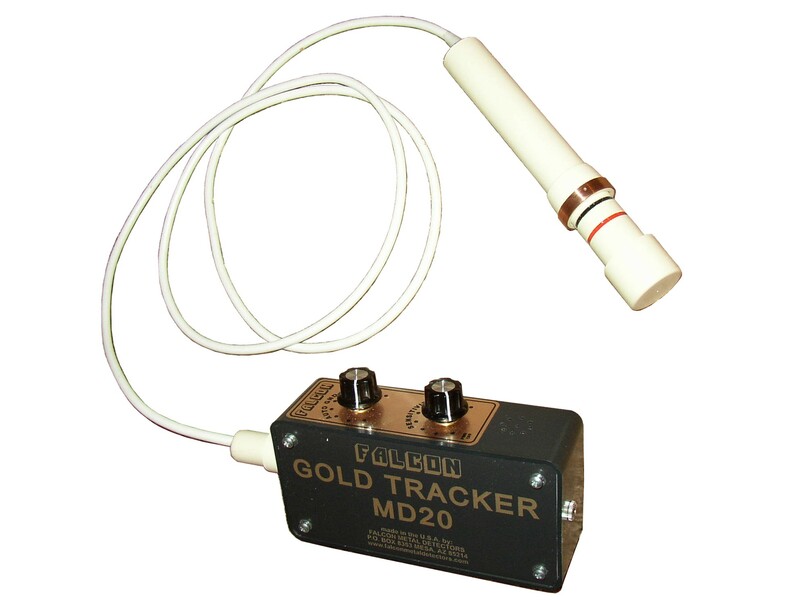 Waterproof probe on a 5 foot cable allows the MD20 to be used in paces no other detector can. Weighs 14oz. (2) 9volt batteries and gold test sample card included with each machine. NO WATER TO PAN GOLD??? NO PROBLEM!!! 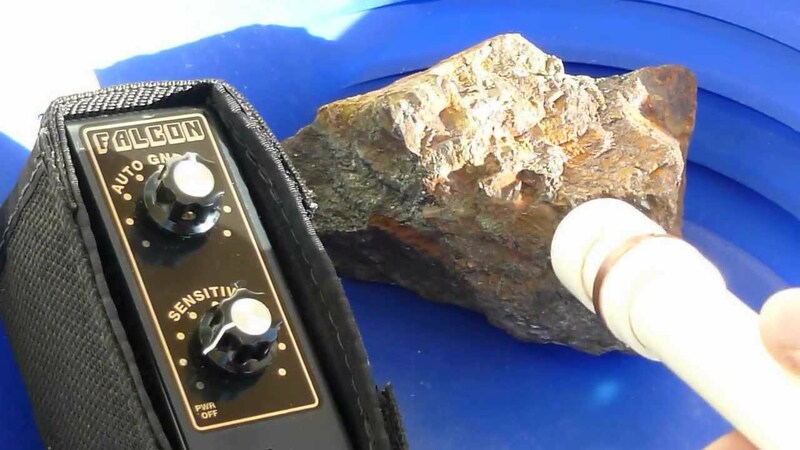 Check out these two products which we believe are basic tools which every prospector needs. These tools are extremely useful in all climates, conditions, and applications. The desert, however, presents special problems to the gold prospector which these tools are uniquely able to solve. Note we use the term "tool" rather than "toy", for there is a difference. 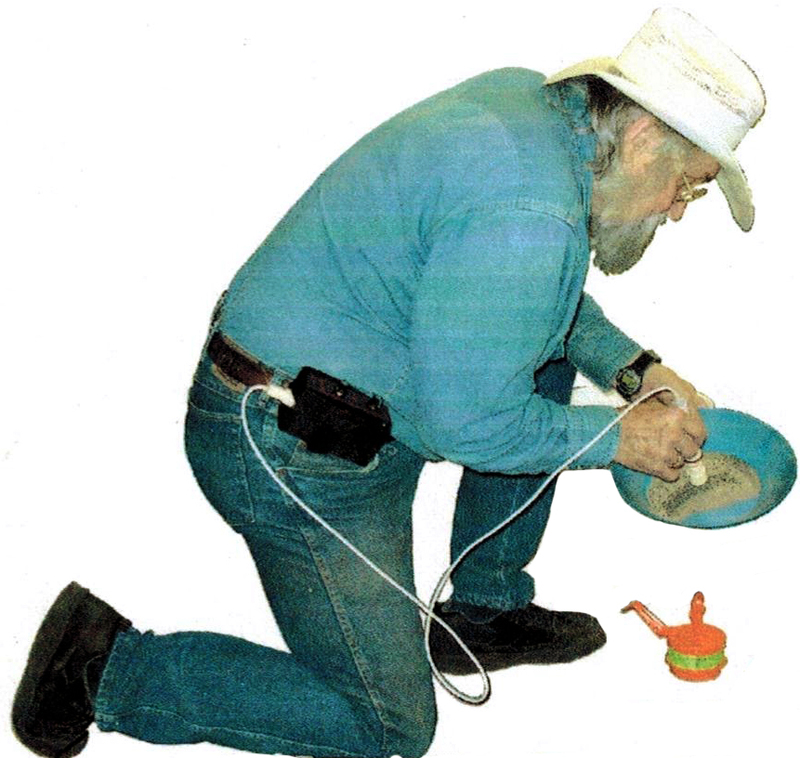 In the desert, sampling by dry panning can be accomplished quite easily by first, classifying the material with a screen, removing the magnetic material with a BIG ORANGE MAGNET, then detect the remainder of the pan for gold using the FALCON™ MD20 GOLD PROBE. 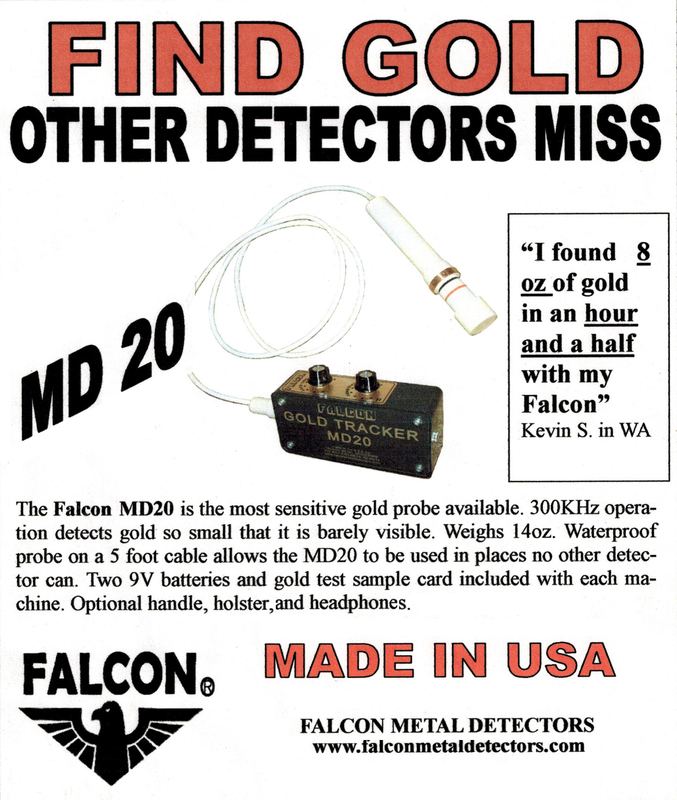 Because of its ability to detect micro fine gold, the FALCON's™ unique electromagnetic field will penetrate through the pan (plastic). Scan the contents from the bottom of the pan or from the surface to tell if there is any gold in your pan. If you don't get a beep, try another sample. No need to waste valuable time panning down dirt which doesn't contain gold. If the FALCON™ beeps, indicating metals, get out the drywasher, other equipment and start to work, or just toss the material into a bucket and take it home! Always classify first to eliminate the large material, visually inspect the oversize before tossing it. Many times a large piece of rock will contain gold not visible to the naked eye. Use the FALCON™ to quickly check the oversize. After classifying the material remove the magnetic black sands with the BIG ORANGE MAGNET. Why do you need to do this? 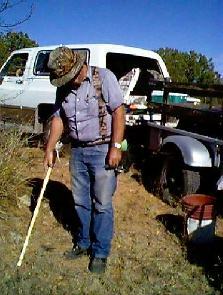 Magnetics reflect much of the power of any metal detector, just like a dense fog reflects a bright light. By removing the magnetics we can get maximum sensitivity from the FALCON™. Worried about carrying gold off the magnet? Don't be. PLace the separated magnetics in another container and check them with the FALCON™ later. The BIG ORANGE MAGNET is designed with 6 poles to stretch and separate the black sands to prevent gold carry out. Some black sand can have gold attached and will naturally be carried out with the magnetics. That's why you separate it, check it, then toss it if there is no gold in it. The FALCON™ and The BIG ORANGE MAGNET are natural combination for dry panning and sampling. Works great on cons from your drywasher, dredge, or highbanker.